Today it’s clear that fascist-turned Brazil is out – so we are at RICS. There is not much to argue about. The world’s fifth largest economy, Brazil, has failed and betrayed the concept of the BRICS and the world at large. Whether you consider South Africa as a valid member of the BRICS is also questionable. Much of SA’s social injustice has actually become worse since the end of apartheid. Ending apartheid was a mere political and legal exercise. Distribution of power and money in SA have not really changed. To the contrary – it worsened. 80% of all land is still in the hands of white farmers. This is what President Cyril Ramaphosa wants to change drastically, by confiscating white farmers land without compensation and re-distribute it to black farmers, who have no formation of how to run these farms. This is not only utterly unjust and will create internal conflicts, the last thing SA needs, but it is also very inefficient, as farming and agricultural production will decline most likely drastically and SA, a potential exporter of farm goods, will become a net importer, a serious hit on South African’s economy. The principle of redistributing land to the black African society is a solid one. But not by force and not by confiscation without compensation, nor without an elaborate training program for African farmers – to lead to a peaceful transfer – all of which does takes time and cannot happen over-night. On a recent trip to SA, I spoke to several black people, including especially women from townships, i.e. SOWETO, who said they were better off under apartheid. It is not a scientific statistic, but the fact that some black people dare say that the system that atrociously discriminated, exploited and raped them, was better than today’s system, is significant. It is a sad testimony to a generation of SA’s democracy. So, now we are, we could say, down to RIC – Russia, India and China. Does India deserve to belong to a club that has as a goal equality and solidarity? The cast system, about which very little is written, is a horrible, horrible mechanism of discrimination. And there are no efforts under way to do abolish it. To the contrary. The Indian elite likes it – it provides cheap labor. It’s actually legalized slavehood, totally submissive to the upper class, the higher casts. It’s cultural, they say. Is such injustice excusable under principles of tradition? Hardly. Especially as this “cultural tradition” serves only a small upper class, is devoid of any compassion and has absolutely no ambition to transform itself to an equal and level playing field. That alone is unworthy of the BRICS’ principles. The other point, which I believe is important in considering India’s “BRICS viability”, is the fact that PM Narendra Modi is like a straw in the wind, constantly wavering between pleasing the US and leaning toward the east, Russia and China. This is certainly not an indication for a country to become a member in good standing and solidarity with a group of eastern countries, that intend to follow some rather noble human and social justice standards, like Russia and China. But that’s precisely what happened. India has weaseled her way into the Shanghai Cooperation Organization (SCO). “We fully support India’s rise,” said Mike Pompeo, US Secretary of State, during a visit to New Delhi. The FT continues, “later on Thursday the two countries signed Comcasa, a security agreement tailored to India that Jim Mattis, US Defense Secretary, said meant the pair could now share “sensitive technology”. All of this does not bode well for the BRICS, nor for the SCO, of which India has recently become a member. The BRICS also have a so-called development bank, the “New Development Bank” (NDB) which so far has been and remains largely non-functional, mostly because of internal conflicts. Then, there is the crime of the Century committed by Indian PM Norendra Modi, who on 8 November 2016 decided to follow USAID’s advice and demonetize India’s mostly rural society – a society of almost sixty percent without access to banks, thereby committing “Financial Genocide”, in the name of Washington. Modi brutally declared all 500 (US$ 7) and 1,000 rupee-notes – about 85% of all money in circulation – invalid, unless exchanged or deposited in a bank or post office account until 31 December 2016. After this date, all unexchanged ‘old’ money is invalid. More than 98% of all monetary transactions in India take place in cash. Tens of thousands of Indians, mostly in rural areas, died of famine or suicide. Nobody knows the exact figures. Many rural Indians could not bear the moral burden of being unable to sustain their families, not having access to a bank and to exchange their old money for new money. This is a US-driven effort towards a global demonetization. India – with 1.3 billion people – is a test case for poor countries, while demonetization, or rather digitization of money in rich wester country is already moving ahead in giant steps, i.e. in Scandinavian countries and Switzerland. Modi clearly betrayed his people, following orders of the US, transmitted through the infamous USAID. Under close scrutiny, the BRICS don’t stand the test they subscribed to in their first summit in 2009, in Yekaterinburg, Russia on June 16, 2009, and under which they were legalized and officiated in December 2010, when South Africa joined the club of four, to make it the BRICS. At this point we are down to Russia and China – R and C are left as viable partners of the BRICS. They are also the founders of the SCO. Washington was once again successful in dividing – according to the historic, age-old axiom, ‘divide and conquer’. The concept of the BRICS was a real threat to the western Anglo-Saxon led world order. No more. If anything, the concept and structure of the BRICS has to be rethought and re-drafted. Will it happen? 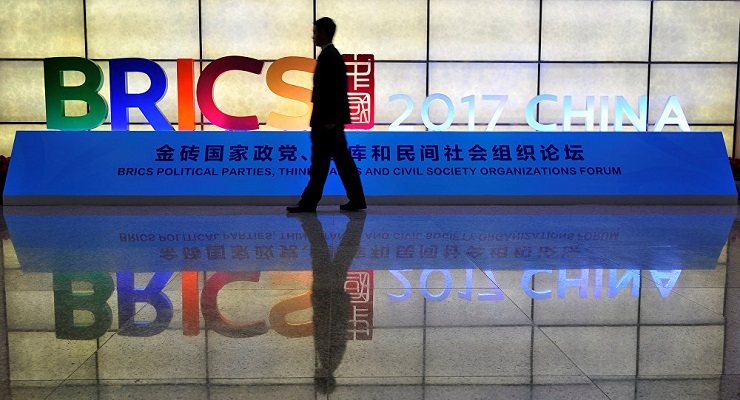 – How much longer and how many more times the BRICS can meet in lush summits and publicly declare their solid alliance as a new horizon against western world hegemony, when in reality, they are utterly divided and full of internal ideological strife – adhering to none of the noble goals of solidarity they once committed to?